Remanufactured Black Toner Cartridge with 10,000 high capacity page yield. 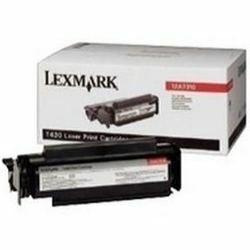 Equivalent to Lexmark part number(s): 12A7415, 12A7315. Fits the following model(s): Lexmark T420, Lexmark T420d, Lexmark T420dn, Lexmark T420dt. 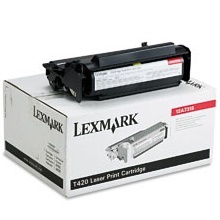 Buy our high quality compatible toner for Lexmark T420 with confidence. Join thousands of happy customers who have found our compatible products are equivalent in page yield and print quality. For our compatible products, we offer a 100% Satisfaction Guarantee allowing you to return products within 6 months if you are unsatisfied. Though it may not be the newest model on the market, the Lexmark T420 is still a reliable choice for small to midsized offices. Perfect for those on a budget, this machine comes with not only an inexpensive upfront price, but affordable replacement toners too. This printer may be more affordable than similar machines on the market, but that doesn't mean it sacrifices quality. With a weight of 30.3 pounds, it may be a little heavy, but should suffice for those who don't plan on moving it around too often. 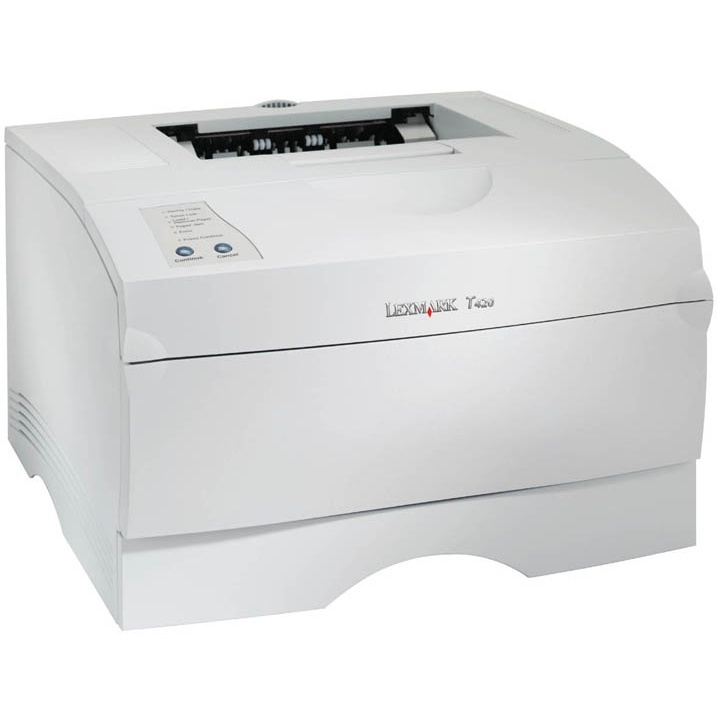 It can print using its Lexmark T420 toner on bond paper, envelopes, labels and plain paper. It can even print on transparencies. The T420 also offers both USB and parallel connection, and it has a very compact size of 16x16.7x10.2 inches, which means no matter how small your office is you will be able to find a space for it. Compared to most machines at this price point, this laser printer is pretty fast. It can print up to 22 pages per minute and the first page out prints in as fast as 10 seconds. Because it is monochrome, meaning you can only print in black-and-white, you are only going to need to keep up with one Lexmark T420 toner cartridge filled with black printer toner. Graphics can be printed with resolution of as high as 1200 dpi, but most documents will print with a 600x600 dpi resolution. Though they may not make the highest of quality documents, the Lexmark T420 toner cartridges are very easy to find and afford. Remanufactured toners are always available too, which will cost a lot less than the OEM replacements. These toners won't break the bank, like a lot of the competition. This probably isn't the best machine for those who need professional results for every print, but for offices just starting out, this could be the best machine out there.